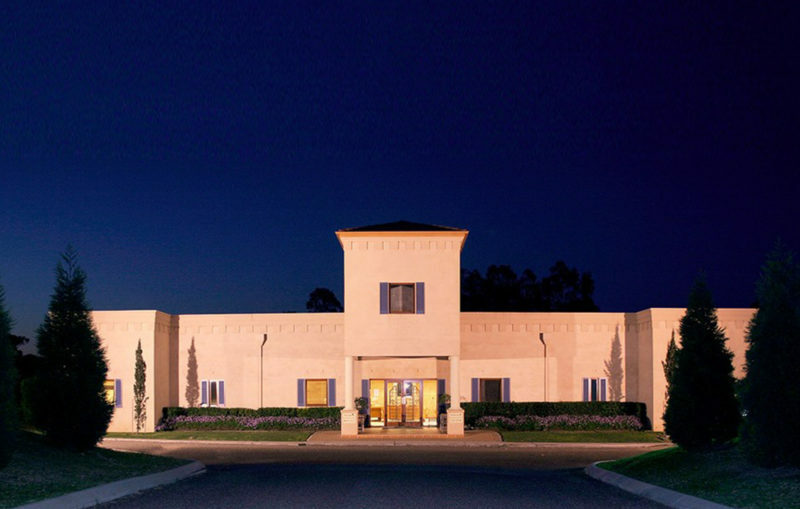 The Estate Tuscany offers you the complete wedding package to create your memorable day. 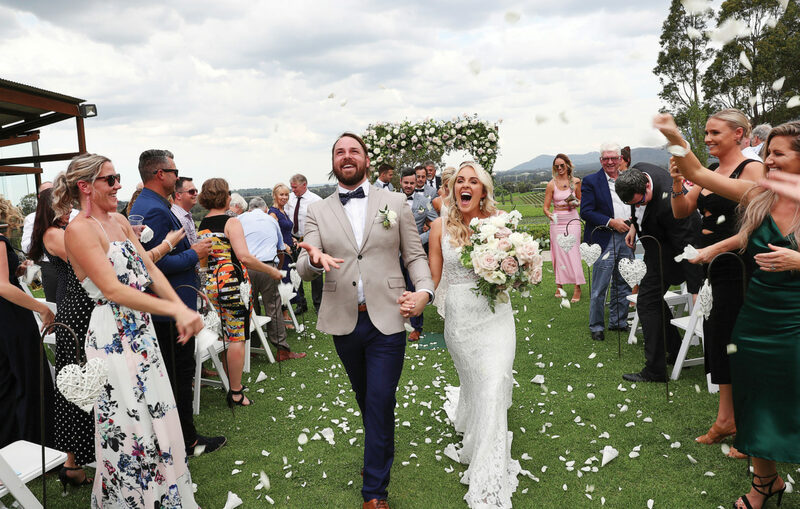 The superb setting in the picturesque Hunter Valley, the great venue, quality catering, onsite accommodation and savvy staff make Estate Tuscany one of the most sought after wine country venues. 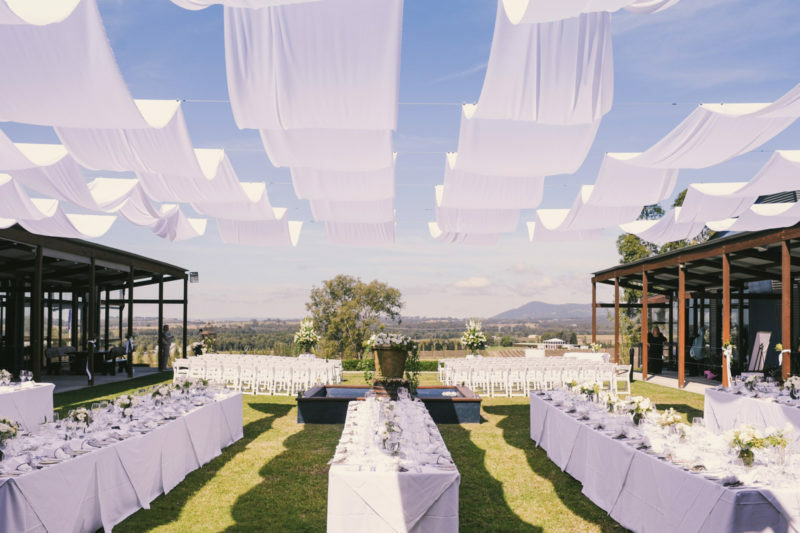 An intimate mix of cultures… a touch of Italy in an Australian setting, the property is situated with views second to none in the Hunter Region. There’s a casual and welcoming feel to it, from when you arrive, you’re welcomed by a team of quintessential Australian personalities all ready to provide exceptional service alongside a slick and delicious food and beverage operation. Choosing our Estate also means that you can stretch your perfect day into a weekend long celebration with family and friends. Our experienced wedding co-ordinators aim to simplify the process. Everything you need is in one central location so you can relax and enjoy your special day. 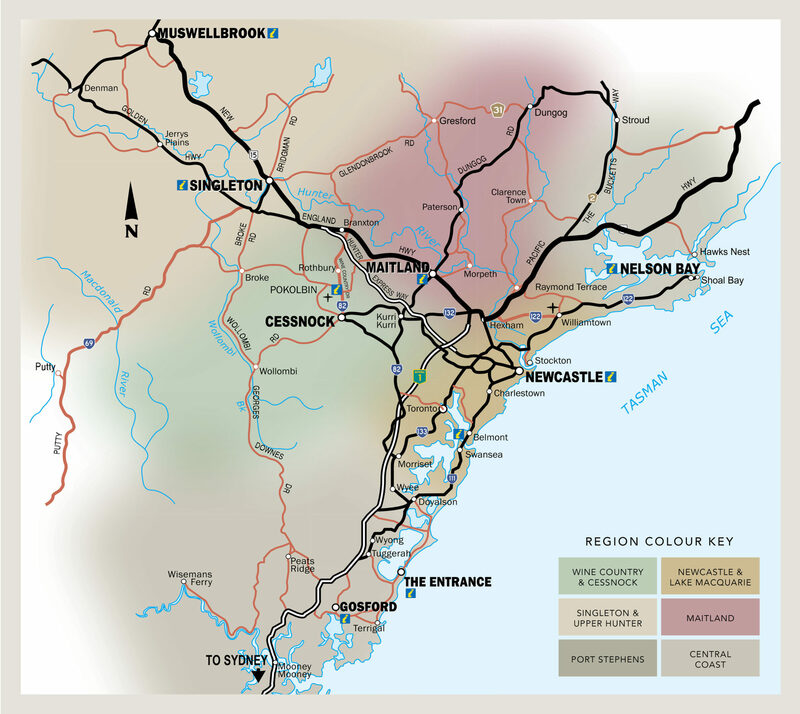 We pride ourselves on flexibility and will aim to accommodate any creative ideas you wish to fulfill. 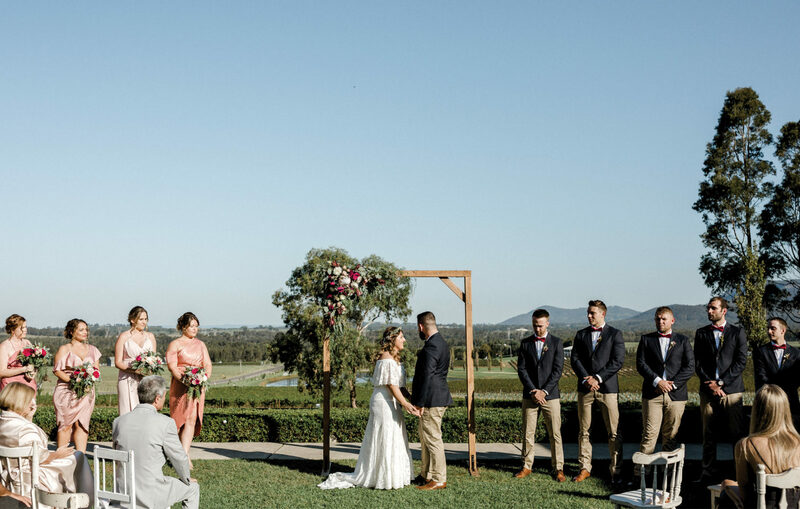 We have a range of heavenly locations to choose from for your ceremony sure to leave a lasting impression on your guests. 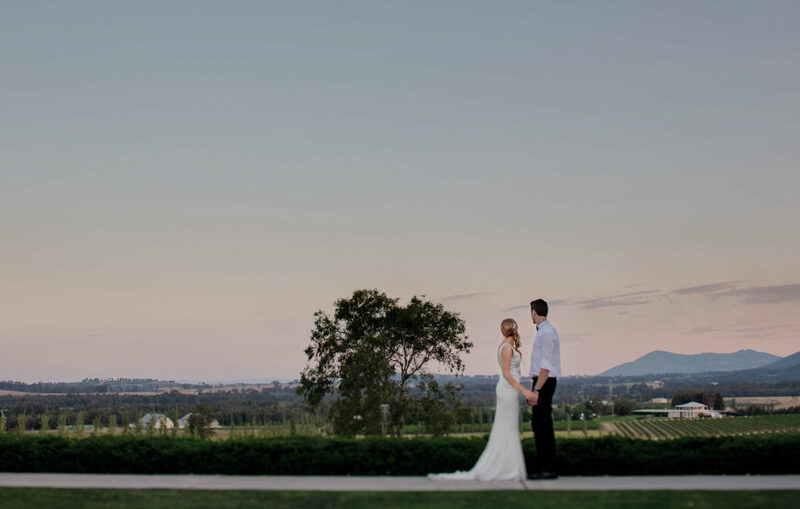 The Courtyard is the perfect location for a garden ceremony and provides a magnificent backdrop with groomed vineyards and Brokenback Ranges in clear view. 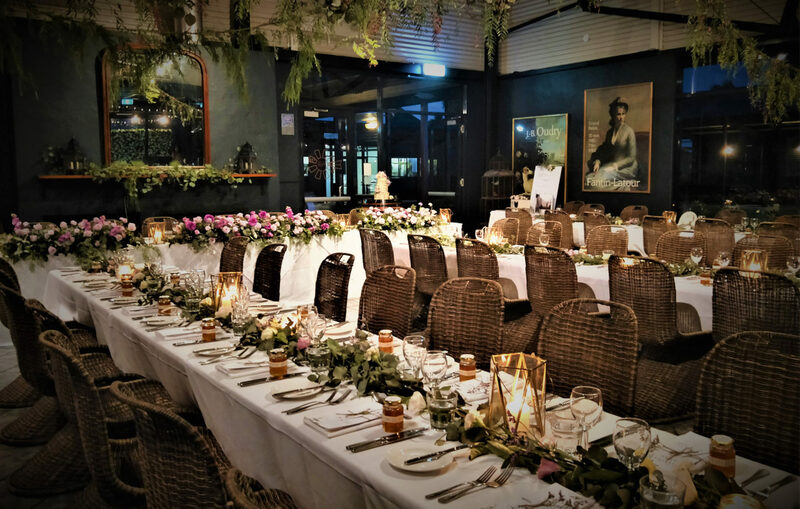 Wet weather options are also available, under the stunning rustic awnings and some of our indoor venues. 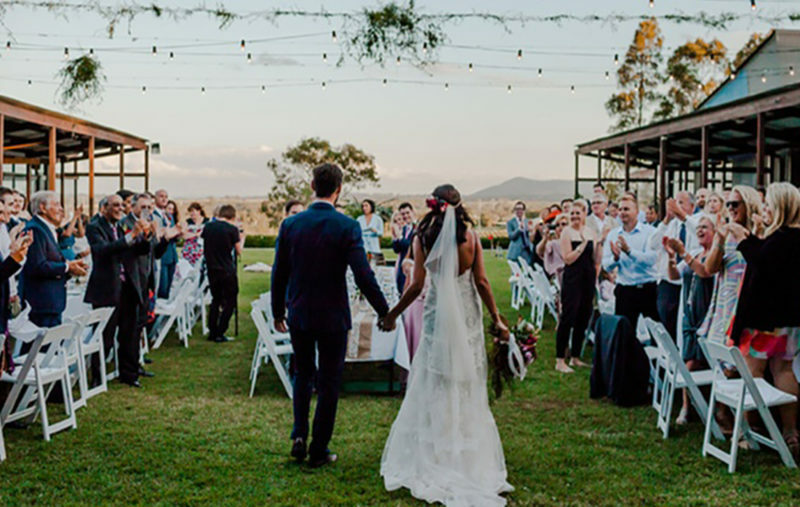 Your reception venue will depend on the number of guests attending your wedding. Your wedding reception can be held in the Mill Restaurant or the Fountain View Room. For a truly memorable experience, choose to dine in the courtyard under the stars. Choose from our delicious catering options, or create your own. We offer cocktail packages or a three-course sit down service. Our catering packages also include canapés and champagne for your guests during services. Child options (2-12 years) are also available. Beverages are available as a package or on consumption. Choose from a selection of red and white wines, beers and spirits, as well as soft drinks and juice. The Brokenback Bar is perfect for pre-dinner drinks and after parties. Hotel guests can experience a relaxing stay in Tuscan-style accommodation, with uninterrupted mountain views in the heart of Australia’s premium wine country. 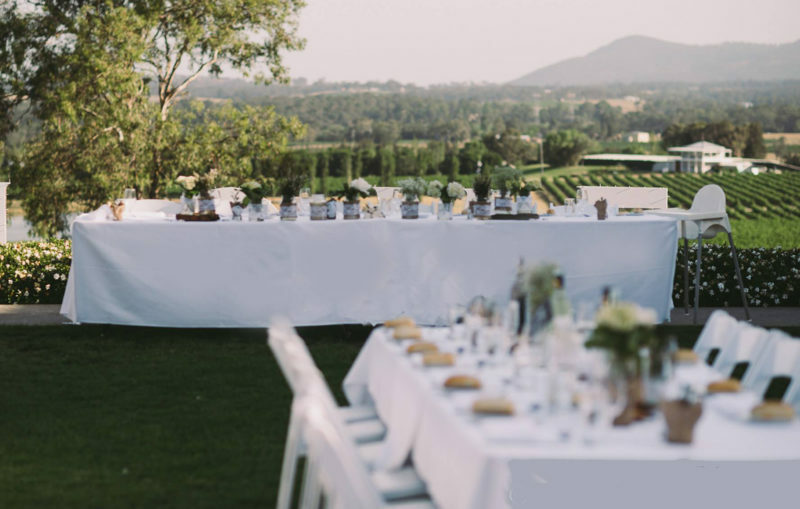 The grounds present a stylish blend of modern and rustic decor, set amongst 26 acres of beautiful countryside. This 4 Star property offers hotel accommodation, dining, conference venues and presents as a stunning backdrop for celebrations and weddings. All visitors or holiday goers are welcome. 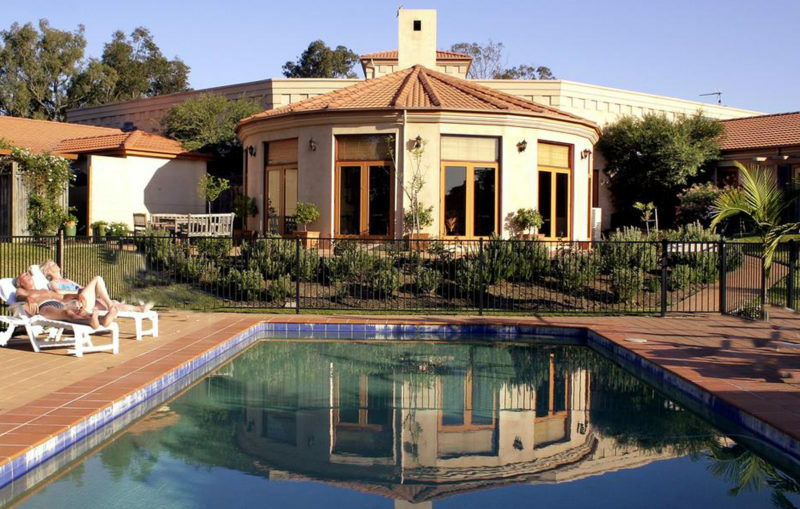 The Estate includes 38 guest rooms, a swimming pool and in-house masseuse. Guests can take walks in our beautiful gardens, home to a wonderful range of Australian birds and wildlife, including kangaroos. Delight your palate with some of the finest food in the Hunter across from picturesque mountain views. 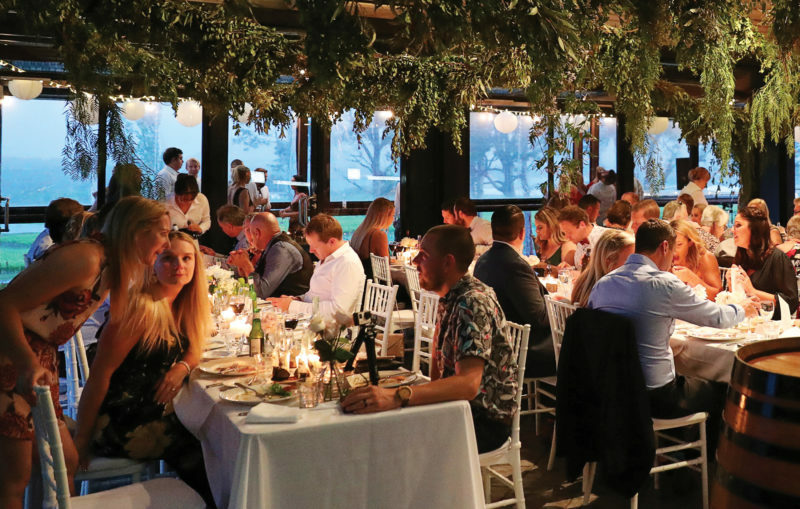 The Mill Restaurant, located on the grounds of Estate Tuscany, is a semi-indoor space and is suitable for use all year round. 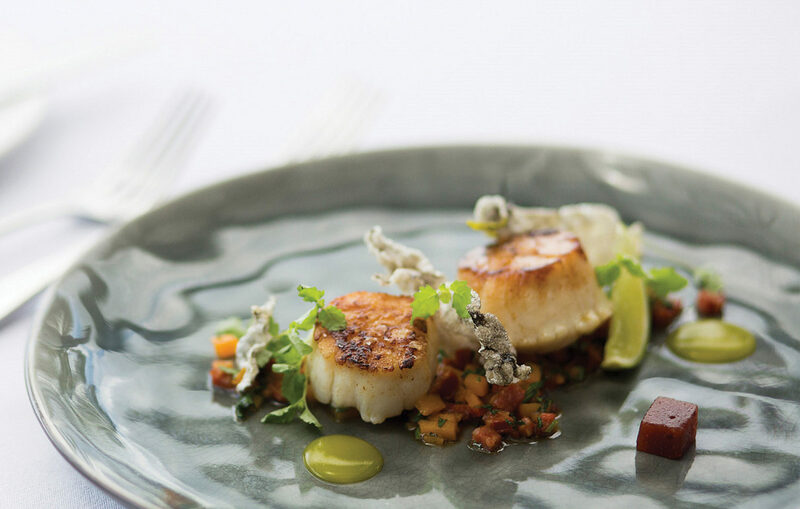 An exciting modern menu caters for a range of tastes for breakfast, lunch or dinner. The finest local produce is sourced daily, including herbs, spices and edible flowers to create delicate mouth-watering flavours in every dish. 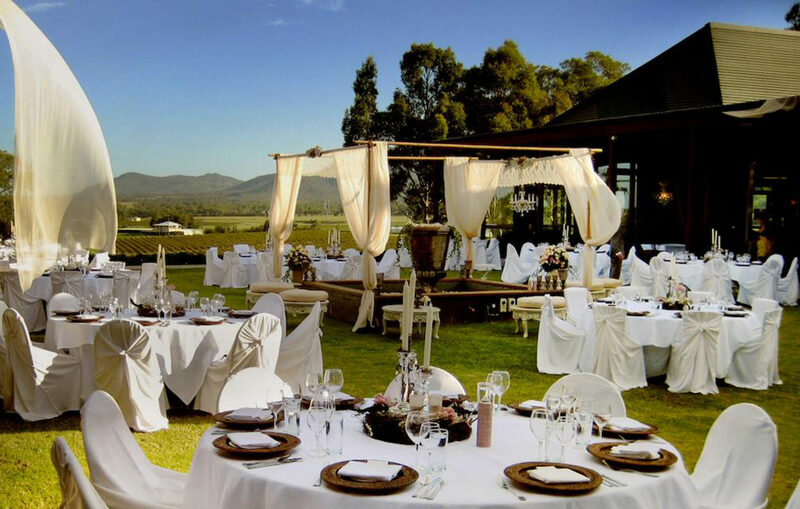 Visit the Estate Tuscany website for further details and wedding packages.